This golf ebook is all about practicing smarter. It will tell you what to do when you practice, and how to do it. 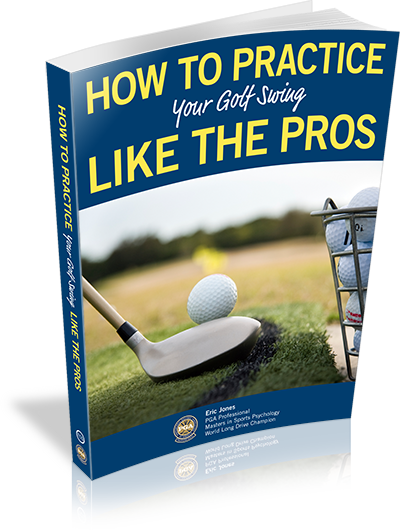 You'll understand the philosophy behind why you are practicing, the strategy behind organizing an effective practice, and the all-important practical step-by-step instructions for hitting balls to get the absolute most out of your practice time. I'm going to give you a RIDICULOUSLY INEXPENSIVE way to improve your golf game by showing you the right way to practice. 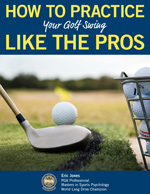 HOW TO PRACTICE YOUR GOLF SWING LIKE THE PROS is a "must read" for every golfer who is passionate about their golf game and who wants to improve. It truly is the next evolutionary step in golf instruction, because it will show you how to bridge the gap between where you are today and where you want to be as a golfer. This book is all about practicing smarter. It will tell you what to do when you practice, and how to do it. You'll understand the philosophy behind why you are practicing, the strategy behind organizing an effective practice, and the all-important practical step-by-step instructions for hitting balls to get the absolute most out of your practice time. This is an electronic book. You can order it, download it, and read it today. You can read it on Kindle, Nook, or pdf. It's about 60 pages, with 12 chapters covering different aspects of practice - from strategy to tactics. You'll find it both thought-provoking and practical. I guarantee you'll learn something new that will help your game. You already know that the real secret to improving your game is through practice. But odds are you've never been told how to practice effectively. Consider this: What happened after the last time you got a lesson or read a tip? How effectively did you practice what you learned? How well did you incorporate the new ideas into your game? How much did you even remember by the time you got to the range? Odds are that after two weeks you gave up and moved on to something new, while your scores went completely south. Anybody can tell you what to do differently with your golf swing (and they usually do!). But this is the first book that fully explains what to do AFTER that to rapidly create permanent, positive change. 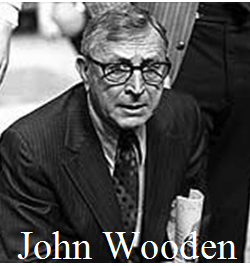 As legendary basketball coach John Wooden said "It's what you learn after you know everything that counts." The simple ideas about what to practice, why, and how to practice effectively are an amazing breakthrough that will help you improve your game far faster and with much more enjoyment. When you finish reading this book you will never think about practice the same way again. The practice approach and methodologies explained in the book are clear and concise, easy to understand, and more importantly, simple to put into action. They take the drudgery out of practice, create clear focus, and add the excitement of knowing that you are achieving your goals. You'll know you are working on the right things, for the right reasons, in the right way. The ideas take best practices from dozens of other fields and adapt them to golf. 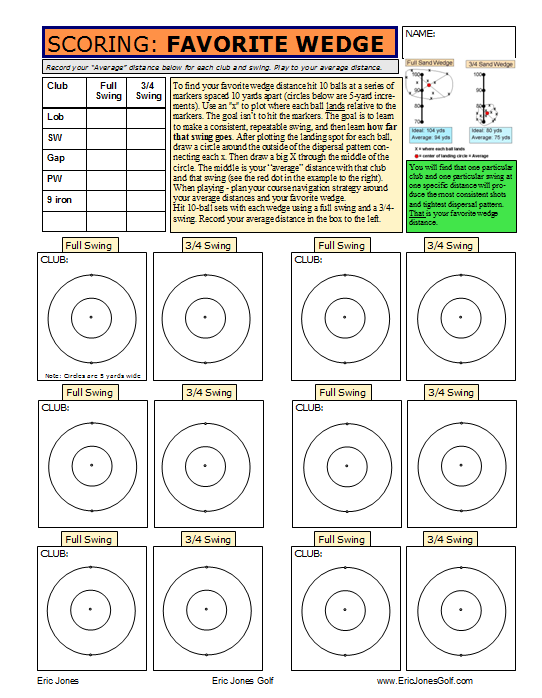 How To Practice Your Golf Swing Like The Pros ushers in a whole new era in teaching and learning about golf, and you will be at the cutting edge ... all for less than the cost of one bucket of range balls! This link will allow you to order and immediately download the pdf version of the book. You can be reading it in less than 5 minutes on your computer or device. 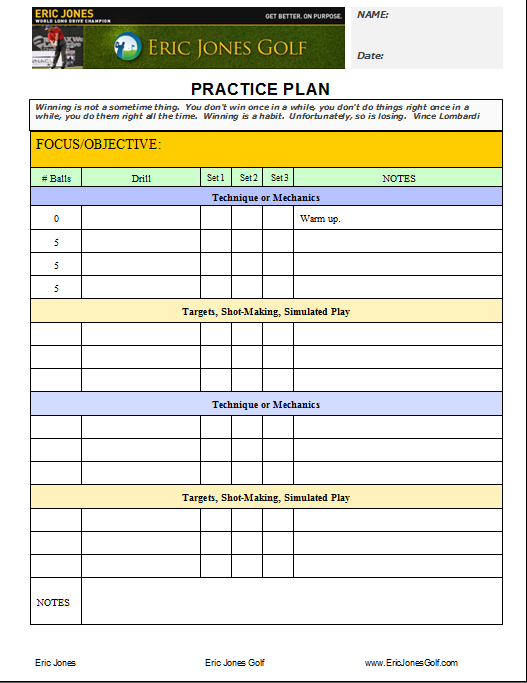 Click the image to view the order page and get the book for just $4.97 There are bonus worksheets that come with the book to help you organize and manage your practice sessions. For just $4.97 this is one of those "can't miss" opportunities and you need to take advantage of it. I guarantee you will learn a number of new concepts you've never heard before that will totally change the way you think about practicing and improving. This is information you should have had a long time ago. It's information you should get along with every lesson you take. 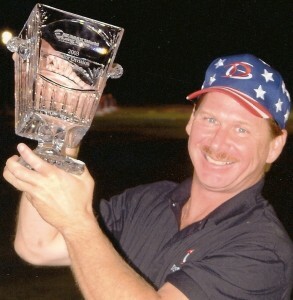 The reason it is so inexpensive is that I want to get it in the hands of as many golfers as possible. Please take two minutes right now to order your copy and start practicing smarter today.